William J. 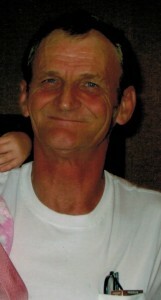 “Bill” Renninger, Sr., 65, of Clarendon, PA. died on his birthday at his residence, Tuesday morning, March 20, 2012. He was born March 20, 1947 in Oil City, PA. to Mary Confer Renninger Bosley of Rimersburg, PA. and the late Herbert Renninger. He has resided in Clarendon, PA. most of his life and was formerly of Sheffield, PA. Bill had served with the U.S. Navy as a seaman 3rd class. He had retired as a painter from Superior Tire Corporation. Bill was a member of the Clarendon V.F.W. He enjoyed working on cars, hunting and was known as crazy legs when he would dance. In addition to his mother, he is survived by his wife of 43 years, Betty Grubbs Renninger whom he married April 24, 1968 in Warren, PA., 3 Children – Ed Renninger and wife, Rose of Russell, PA., Pam Mihalic and husband, Charles of Starbrick, PA., William J. Renninger and wife, Erin of Russell, PA., his mother-in-law, Pearl Grubbs of Youngsville, PA., 2 Sisters – Judy Renninger of Rimersburg, PA., Charlotte Moore and husband, Frank of Sligo, PA., 14 Grandchildren, 5 Great Grandchildren, several nieces and nephews also survive. In addition to his father, he was preceded in death by his step-father, John Bosley, 1 Sister – Carlene Confer. Friends may call at the Donald E. Lewis Funeral Home, Inc., 304 East Street, Warren, PA. Friday, March 23, 2012 from 6 to 8 PM where a funeral and committal service will be conducted Saturday at 11:00 A.M. with Rev. Marcus Briggs, Chaplain of the Warren General Hospital, officiating. Full military honors will be conducted at the funeral home immediately following the funeral service by members of the Clarendon/Sheffield V.F.W. Funeral Detail and the U.S. Navy Personnel. Interment will be in Barnes Cemetery, Barnes, PA.
We are truly sorry to hear of Bills passing. My husband had worked with Bill and always had many funny stories to tell. Bill also painted a car for us (Purple in color) and teased us everytime we saw him. Always a smile and kind words came from Bill and Yes even the fancy footwork while dancing will always be something we will remember about him. I loved to watch him boogy. What a gentle soul who will be greatly missed by all who knew him. Deepest sympathy to his entire family. Was saddened to hear about Bill’s passing. I remember him and my father Bill working on cars in our garage growing up. He was always willing to help my dad with anything he asked. Always kind words and a smile…. I don’t remember ever seeing him wihout a smile on his face. He definitely was a notable dancer…. loved to see him enjoying himself on the dance floor!! Our thoughts and prayers go out to the family, he will be greatly missed. Sorry to hear about your loss, sympathy with you and your family.